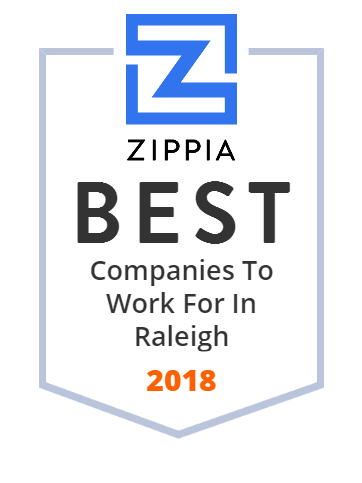 We hand-curated a list of the best companies to work for headquartered in and around Raleigh, NC using data on salaries, company financial health, and employee diversity. Founded in 1993, Red Hat Inc is an American multinational software company that provides open-source solutions to the enterprise community. The company's software offerings are designed to provide customers with scalable, flexible, reliable, and high-performing technologies that meet the information technology needs of enterprises. It is headquartered in Raleigh, NC and has satellite offices in US, Canada, Europe, Middle East, Africa, and the Asia Pacific. Wake County is a county in the US state of North Carolina. Sensus is a reliable firm that has been providing smart meters, communication systems, software, and services for gas, electric, and water industries worldwide since 2003. It offers data management solutions, a wide area of an advanced metering infrastructure system that reads gas, water, and electric meters with a common AMI platform, and various devices such as sensors and handhelds. Sensus produces products that are used in meter reading, data acquisition, distribution automation, and so much more. We are long-term owners of businesses that provide a lasting benefit to society, opportunity and growth for their employees, and positive financial outcomes for everybody involved. The North Carolina Department of Transportation is responsible for building, repairing, and operating highways, bridges, and other modes of transportation, including ferries in the US state of North Carolina. Alliance of Professionals & Consultants, Inc. focuses on finding and placing information technology (IT), engineering, energy, and other highly skilled talent candidates. It offers contract labor-related business solutions for mid- to large-sized companies; provides long-term and project-based IT professionals; and places skilled engineers for electrical power utilities (conventional/nuclear), consumer products, electronic devices, telecom, aerospace, and steel/textile process industries. The company also places subject matter experts; and offers staffing solutions for marketing and energy sectors. Alliance of Professionals & Consultants, Inc. was founded in 1993 and is based in Raleigh, North Carolina with satellite offices in the United States. Find properties in the greater triangle area and Fayetteville. Real estate and homes for sale via Fonville Morisey Realty. Established in 1969, Red Star Oil Co is a Phillips66 jobber handling Phillips66 lubricants and fuels, as well as unbranded fuels and assorted motor oils. This privately owned company offers fuel oil such as kerosene and gasoline, motor oil such as antifreeze, and highway and non highway diesel. Based in Raleigh, North Carolina, Red Star Oil Co has nearly $100 million in revenue. Founded in 1999, The Select Group is a technical services firm headquartered in Raleigh, NC. This reliable firm provides direct placement, contingent staffing, and managed services for connecting top companies with IT resources. This industry leader has also been recognized as one of the Largest IT Staffing Firms in the US and Fastest- Growing US Staffing Firms in 2017 as well as Best of Staffing Client Satisfaction from 2014 to 2018. Since its founding in 1976, PRA has been conducting complex global clinical trials across all therapeutic areas and providing outsourced clinical services across all phases of pharmaceutical and biotech drug development. For over 30 years, PRA has been recognized as a reliable organization that provides niche treatments, therapies, and even blockbuster drugs. It has more than 15,000 employees working in over 80 countries. Total is a multinational integrated oil and gas company that operates oil and gas chain, from crude oil and natural gas exploration and production to power generation, refining, transportation, petroleum product marketing, and product trading. The company produces oil or gas in approximately 30 countries. It is founded in 1924 and recognized as one of the seven "Supermajor" oil companies in the world. Located in the southeastern region of the United States, North Carolina is the 28th most extensive and 9th most populous city in the country. It is nestled between South Carolina and Virginia and filled with beautiful beaches, including the Outer Banks, which tops US News' list for Best Family Beach Vacations in the USA. The city boasts a moderate climate, scenic beauty, a rich culture as well as world-class sports and recreational opportunities. Since 1973, S&ME has been helping clients in the industrial, commercial, government, power and transportation industries overcome the most complex compliance requirements and adverse land conditions. This award-winning, employee-owned engineering firm specializes in geotechnical, civil, environmental, construction and planning services. The company currently has 1,100 employees operating out of 36 offices across the country. Raleigh Glass & Mirror Co.